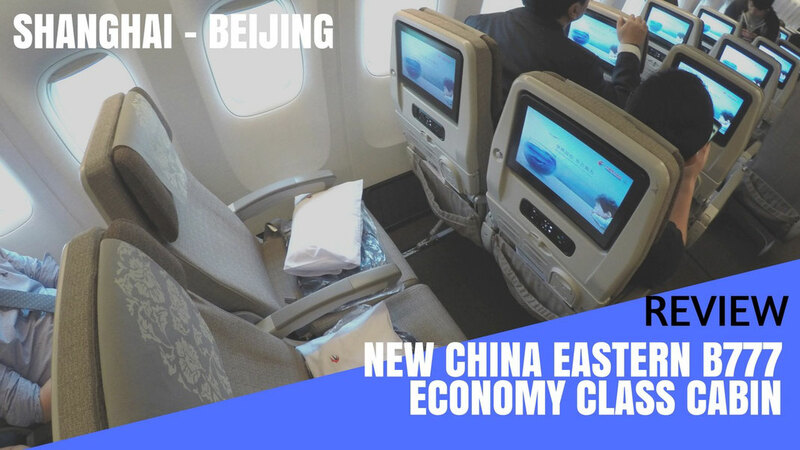 Earlier this month I covered China Eastern Airlines old Business and Economy Class on their Airbus A330 which they still use on many domestic and regional routes. This time I was keen to try China Eastern's brand new Boeing 777 and their new cabin product which will be used on most flights to Australia, North America and Europe. My trip started at Hongqiao Airport because the day prior, my flight to Beijing was cancelled. I had to stay the night at the only Hotel which is located inside the terminal. It was pretty decent and you'll get a nice airport view. Perfect place for spotting! 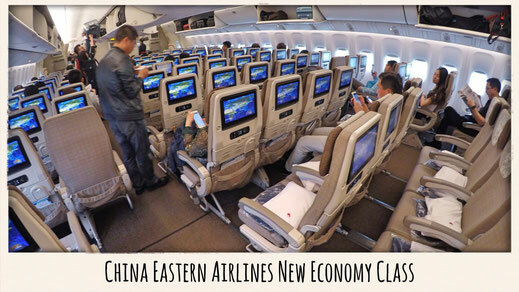 What is new on China Eastern Airlines Boeing 777? Brand new cabin featuring 6 open-suites in First Class. 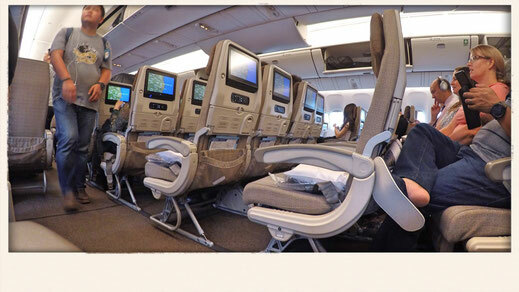 Reversed Herringbone configured Business Class with 52 flat-bed seats. 252 Seats in Economy Class with personal entertainment system, USD slot and AC power available at each seat. WiFi is now also available. It goes through a Chinese Server so Facebook, Twitter and other media are blocked. 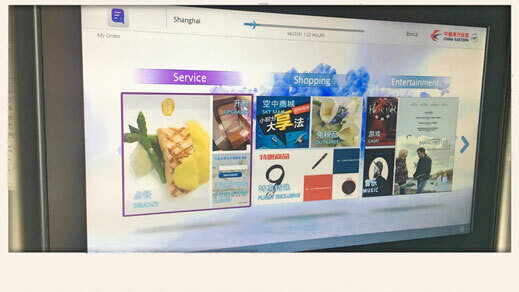 Food and Duty Free Shopping is now possible through the personal entertainment screen in front of you. In September 2014 the Shanghai based airline received it's first new Boeing 777 which comes with a brand new Economy Class to replace the outdated Airbus A330's on most of the Intercontinental routes which I also reviewed earlier this year. 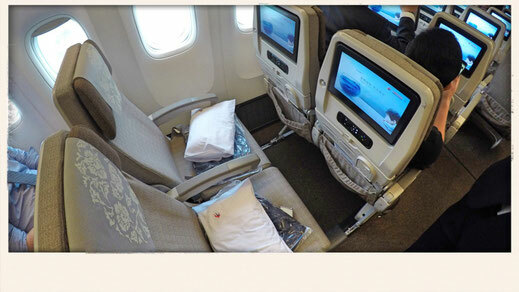 Now all seats come with personal entertainment screen and a greater variety of movies and games. The seats are more comfortable, the finishing looks great and the overall quality of the cabin makes the flight experience a lot more enjoyable. The cabin crew however always seems to be lost. I felt constantly ignored because they try to avoid a conversation at all costs due their lack of English. 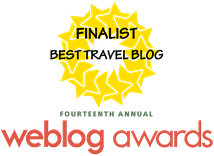 That was the only negative aspect. Find the Seat Map of the Boeing 777 here. I don't know whether thats the standard but there was only a Chinese option given for breakfast. Honestly I'm not a big fan of Chinese porridge so I didn't touch it. I asked whether they have a Western breakfast as well but they didn't seem to understand my question. However I'm quite curtain that they offer more options on international flights. But you need to be after them to get their attention. 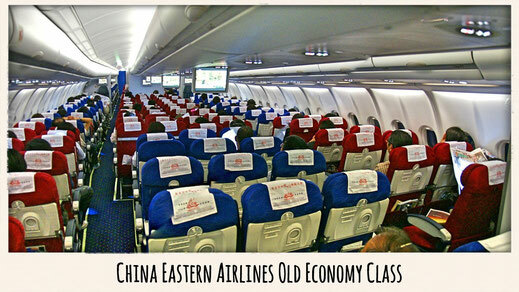 China Eastern's older planes only head over-head screens every fifth or sixth row. You literally had the choice between watching that one movie or documentary that was screened above you or occupy your time with something else. 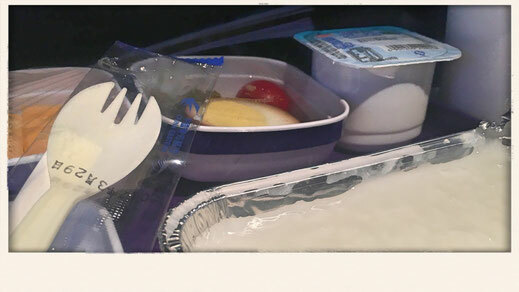 The new Economy Class offers a personal entertainment option with a wide variety of movies. It also features a shop, you can order food too or purchase an upgrade on the spot for 10,000 Chinese Yuan, which is around USD 1,400. 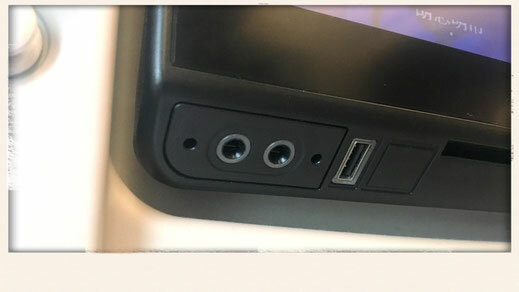 As much as I like the new entertainment, the headphones are terrible. The sound quality was really really bad. I tried my own headphones and it worked just fine. Keep that in your mind before you board a 10 hour flight. You want to buy a new iPhone? No problem. 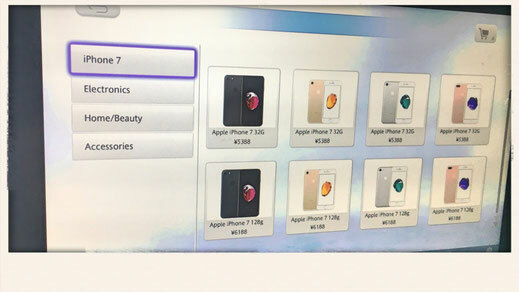 You can purchase a lot of electronics and other duty free items through the the new shopping section. I prefer that instead of having the crew walk through the ally with the trolley trying to sell stuff. The new planes also come with a great new Business Class. 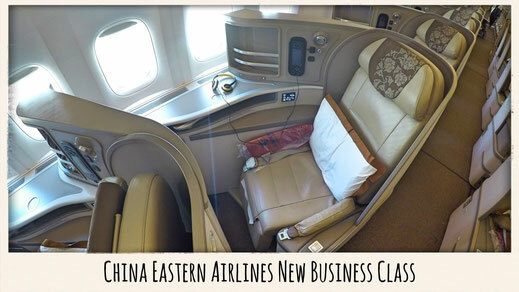 I only had the pleasure to experience China Eastern's old Business Class on their rather outdated Airbus A330's. But I have heard from other travellers that the hard product is pretty good. I had a quick look during my flight and I can only agree. It's very similar to SriLankan Airlines Business product. I hope I get to try it soon. 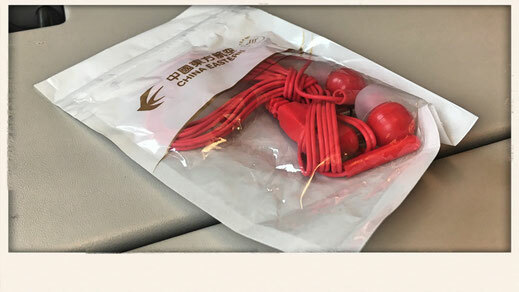 Finally China Eastern offers a competitive product which makes the airline also more attractive to foreigners. For a few years now China Eastern very competitive prices on the Australia to Europe sector, trying to target mainly backpackers going to Australia for a gap year. 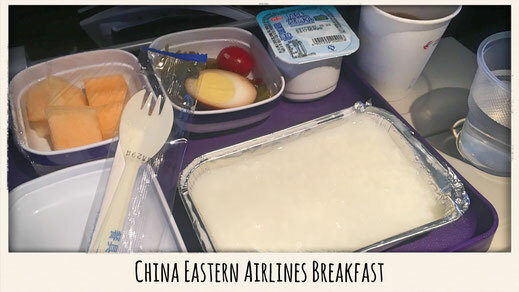 Apart from the cabin crew, everything meets good international standards and I wouldn't hesitate taking China Eastern to anywhere in the world. To sum it all up, great entertainment, average food, very comfortable seats and a lost cabin crew.